After successfully launching The Ivy Victoria Quarter in September 2018, the restaurant team wanted to generate further awareness and drive additional reservations to the eatery. 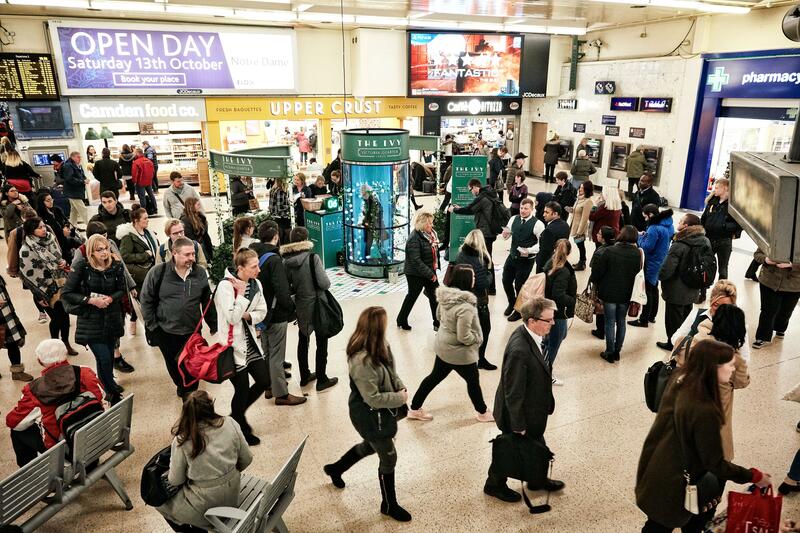 The team called upon our PR and events management experts to turn around a fun, engaging event in one of the city’s busiest commuter areas, Leeds Train Station, all within a two-week time period! 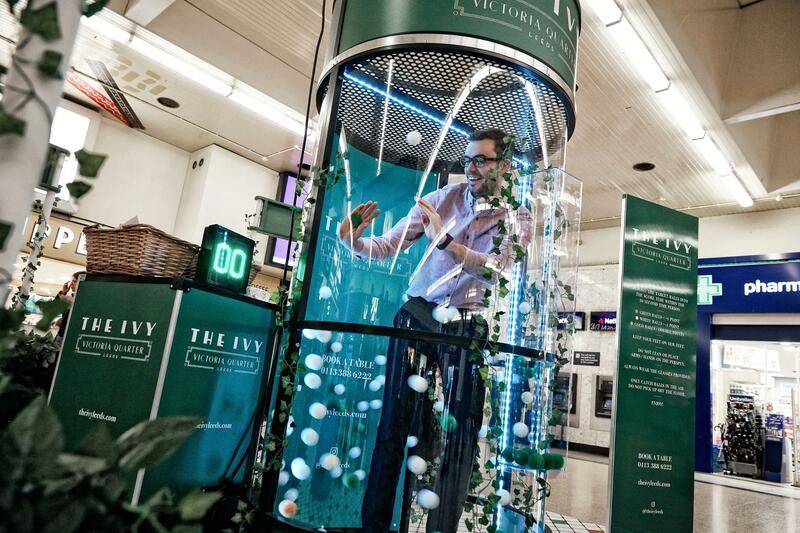 The event centred around a Crystal Maze-style game, which commuters would step into and collect as many foam balls as possible in a 30-second time frame, in order to win a host of prizes from The Ivy Victoria Quarter. Our events specialists sourced the game and managed the branding of it to ensure passing commuters knew it was associated with the new restaurant. In addition to sourcing the game – which is one of only a few available in the UK – our production team constructed three, two-metre by two-metre stands to install within the promotional space in the train station. 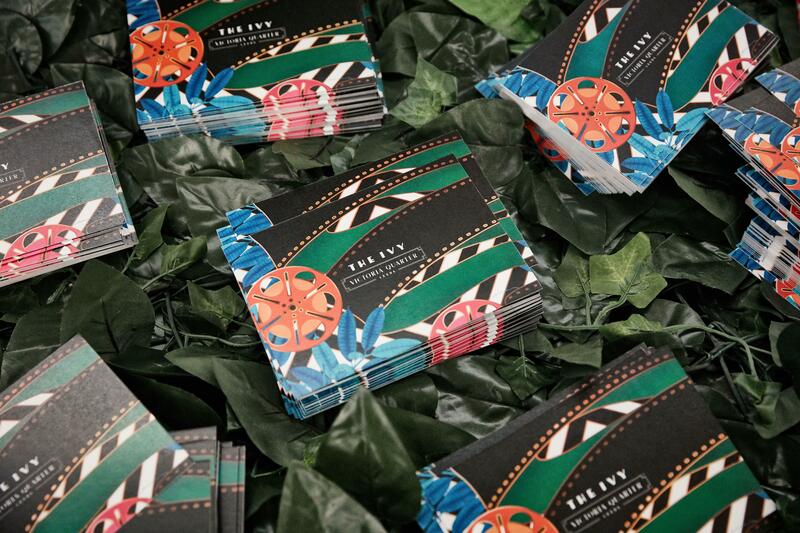 These also featured ‘The Ivy’ branding and were covered in artificial ivy to tie-in all elements of the activity. From these stands a team of promotional staff – sourced and selected by us – handed out marketing collateral to passing commuters, detailing information on The Ivy Victoria Quarter and encouraging passers-by to take part in The Ivy game. Our PR and events experts worked closely together to coordinate The Ivy game installation in its entirety – from liaising with the Leeds Train Station promotions team to obtain the relevant permissions to sourcing the bespoke game. We also constructed and installed the additional elements required for the promotional activity and arranged the attendance of a local journalist from Leeds Live to come along and take part in the game, as well as managing the event on the day from start to finish. In total, more than 200 prizes were given away to participants that took part in The Ivy game, ranging from glasses of champagne and cocktails and nibbles to afternoon tea packages and lunches for two. Find out more about how we launched The Ivy Victoria Quarter here.